A high-powered Manhattan attorney finds love, purpose, and the promise of a simpler life in her grandmother’s hometown. Ellen Branford is going to fulfill her grandmother’s dying wish–to find the hometown boy she once loved, and give him her last letter. Ellen leaves Manhattan and her Kennedy-esque fiance for Beacon, Maine. What should be a one-day trip is quickly complicated when she almost drowns in the chilly bay and is saved by a local carpenter. The rescue turns Ellen into something of a local celebrity, which may or may not help her unravel the past her grandmother labored to keep hidden. As she learns about her grandmother and herself, it becomes clear that a 24-hour visit to Beacon may never be enough. 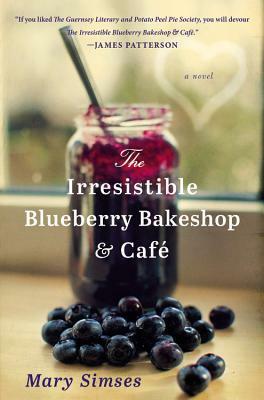 THE IRRESISTIBLE BLUEBERRY BAKESHOP & CAFE is a warm and delicious debut about the power of a simpler life. I loved this book! It started out a little sad since Ellen’s grandmother had recently died, but the story from then on was anything but sad. The trip her grandmother sent her on was full of ups and downs, laughs and surprises. The descriptions of the town and the people she met were wonderful. I could almost see the town and the ocean, and by the end of the book I felt as if I knew these people. I loved following Ellen and discovering bits about her grandmother and her past. I loved seeing her become a person she thought she’d never be and liking a town and enjoying it’s people that she never thought she’d like. I liked that in the end, she decided to be the person she wanted to be and not what her mother wanted her to be. If you’re looking for a light read, give this book a chance. It’s a fun read that will make you smile, and maybe even laugh here and there. This sounds wonderful from the small town to the main characters. I could eat that cover I love blueberries! It was SO good! 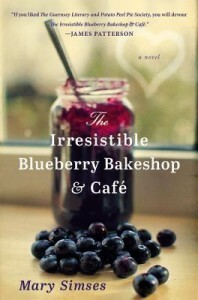 I love blueberries too, and am a big cover snob, and that’s what caught my attention. I thought this book was wonderful too! Sounds just what I need right about now.